Saturday July 29th 2000: At this point in the season, Bobby Valentine's New York Mets were in second place, five games behind the Atlanta Braves & in the running for the main Wild Card spot. They had lost their short stop Rey Ordonez for the season & were not willing to gamble on the young Melvin Mora to get them to the playoffs. 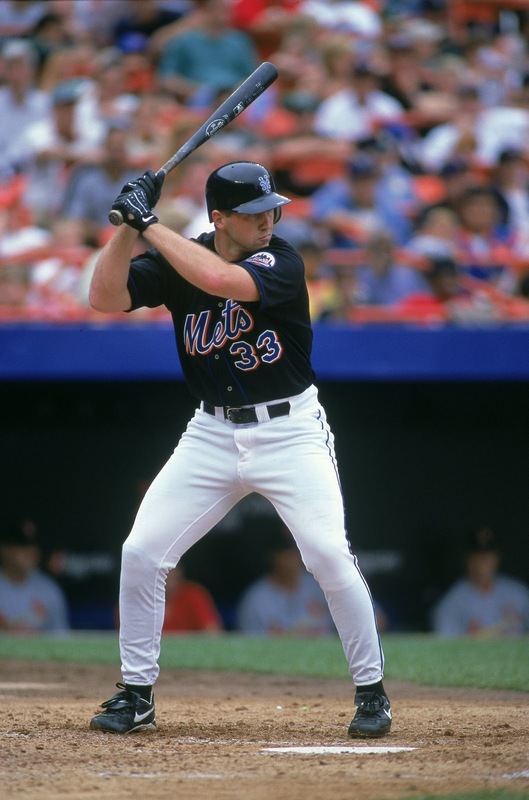 In a deal with the Baltimore Orioles, the Mets dealt Mora, Mike Kinkade & Leslie Brea in exchange for solid veteran; Mike Bordick. It was a good short term move, as Bordick solidified the position, hit well enough & did help get the Mets to the World Series. In the long term though, Bordick left via free agency signing back with the O's & Mora went on to a fine career, making the exclusive Baltimore Orioles Hall of Fame. Bordick arrived in New York to suit up for a Saturday afternoon matinee at Shea Stadium in front of 50,726 as the Mets hosted Tony LaRussa's first place St. Louis Cardinals (57-46). The starters were Rick Reed for New York & Andy Benes for the Cards. Ray Lankford put St. Louis up 1-0 with a solo HR. In the 3rd inning, in his first New York Mets at bat, Mike Bordick delivered with a solo HR tying the game & winning the NY fans over. The fans gave him a huge standing ovation & Bordick was going to be alright in the Big City. It was his 17th HR of the year. Mike Piazza added an RBI single in the inning putting the Mets up 2-1. But in the Cards 4th, Jim Edmonds blasted a two run HR putting St. Louis up 3-2. 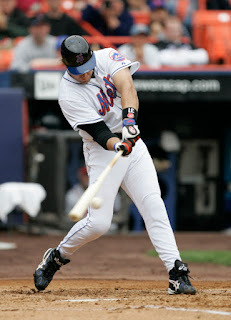 In the home 6th, Mike Piazza hit his 29th HR of the year, a solo shot off Benes tying up the game & exciting the big crowd. In the 8th it was Robin Ventura who led off with a walk. Bordick followed with a base hit, his second hit of the day. Benny Agbayani also walked to load up the bases. Bobby Valentine sent up one of his secret bench weapons, the reliable Lenny Harris. Harris delivered with a single to right field scoring Ventura in what was the games winning run. That same day the Mets acquired pitcher Rick White & Outfielder Bibba Trammell in a deal with the Tampa Bay Devil Rays. The Rays got Paul Wilson & Jason Tyner. 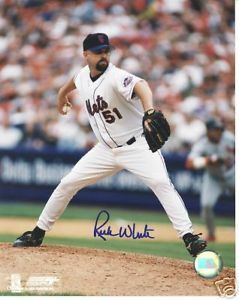 Rick White's debut also came on this day, entering the game in the 8th inning. He walked two & struck out one, getting the win in relief to get to 4-6 on the year, his first win as a Met. Armando Benitez earned his 25th save & the Mets were on a Five game win streak. Sunday July 30th 2000: The next day the other new Met, Bubba Trammell got the start batting eighth & playing right field. In this game Bobby Jones got the start for New York against Garrett Stephenson. In the bottom of the 2nd inning, Bubba Trammel came to bat with Todd Zeile & Jay Payton on base. Trammell made a tremendous Mets debut himself, hitting a three run HR to put New York up 3-0. They went on to a 4-2 win as Bobby Jones pitched the complete game win. The 2000 Mets were now on a six game win streak.